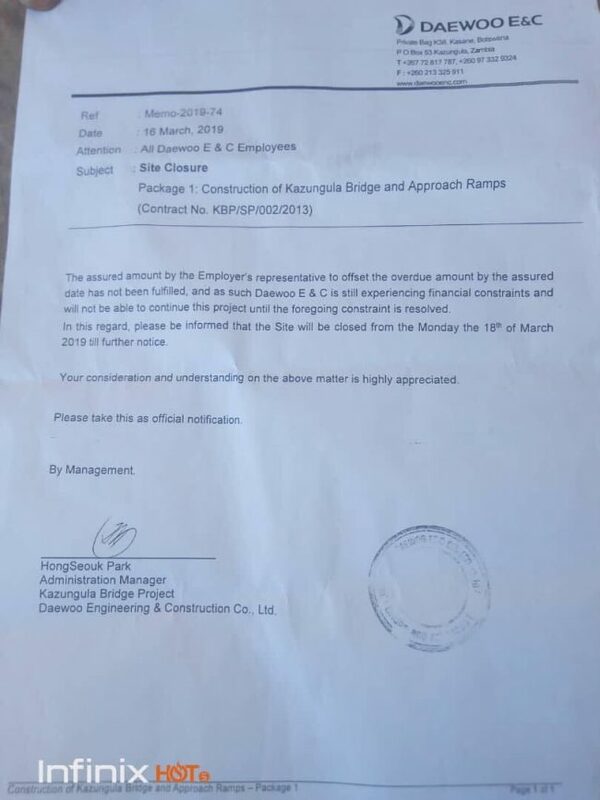 Korean multinational Daewoo Engineering and Construction which is constructing Kazungula Bridge will today shut the site due to non payment of money by the Zambian government. Two weeks ago, the Watchdog revealed that construction workers at the bridge had gone on strike because they had not been paid their February salaries. The contractor could not afford to pay workers because Zambia owes Daewoo $14 million. In response, the Zambia government instructed a junior officer (press secretary) at the high commission in Botswana to issue an empty statement in which he did not even say when Zambia will pay. But as the Watchdog said then, Zambia has not paid the contractor while Botswana and cooperating partners are all upto date with their commitments. The contractor has now informed workers that it has not received the money and is unable to continue constructing the bridge so work has stopped until the money is paid. During the first strike two weeks ago, Botswana president Mokgweetsi Eric Masisi talked to President Edgar Lungu to pat the contractor as Zambia’s failure to pay was affecting the work, would delay completion and will increase costs. 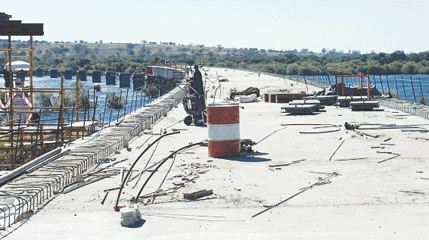 The project, which entails construction of a 923 metre-long rail/road extra dosed cable stayed bridge with approach roads as well as construction of one stop border posts on the Zambia and Botswana sides, was scheduled for completion last year but failed due to Zambia’s failure to pay.